In our 350m² big gym you can find plenty of space for your workout using machines, free weights or simply our mats and all on over 70 hours a week. You can work on your health by training endurance, power or coordination. With the three pillars that are health, fitness and competitive sports we create an ideal environment for you to accomplish your personal goals. 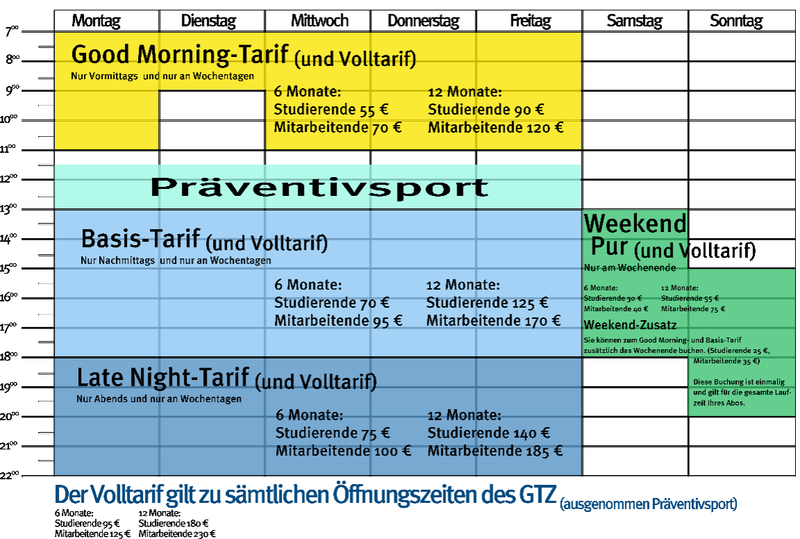 hier kommen Sie zu den Sonderöffnungszeiten von unserem GTZ. First-time registrations cannot be done online. Please come to the Hochschulsport Office in person during our office ours. With your first registration you have to decide between a membership of 6 or 12 months. 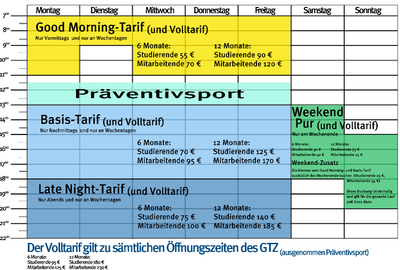 Registration is only possible for students or employees of Paderborn University. You can find an overview on tarifs and rates here. Your 6 months membership can be paused once for a maximum 1-2 months. The same is possible twice for the 12 months membership. Your membership is automatically extended for the duration of your pause. Please request the the pause 5 days in advance. Afterwards you will receive a mail confirmation. but you can book "Add on Dauertarif Weekend"
First time registrations only in person with the Hochschulsport Team during the office hours.